Which game deserves the top honour? 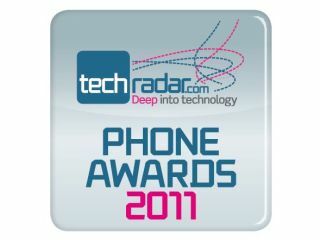 As you will no doubt know by now, the TechRadar Phone Awards 2011 are here and we are counting on you, the reader, to have your say on six of the categories, with the rest being judged by our panel of experts. Here we take a look at the nominations in the Best Game category and give you some food for thought about the titles that have been chosen as the best games for smartphones, regardless of the platform. So, take a look and see if your favourite is in the list. Don't worry if it's not as you can still go and vote, as we are also giving you the opportunity to tell us what your favourite game is. All you have to do is go to the Your Choice section of the voting process and let us know. It's hard to believe just how much success Angry Birds has had in its relatively short time in the gaming world. Not only has the game spawned seasonal sequels in Angry Birds Seasons and a movie-related spin-off (Angry Birds Rio), it has managed to catapult its maker Rovio into the gaming big league and make billions of dollars in the process. There's no doubting the success of Angry Birds, but has this success brought backlash? Despite its sinister title, Axe In Face is one of the most charming games to hit the Apple App Store, given that its premise centres on a garden-loving Viking who wants to protect his crop of tulips. It may not have had the vast success of some of the other titles in this top 10 but its gameplay is second to none, giving it a longevity that most games developers look on with envy. It might be one of the more obscure titles in the list, but Axe in Face issurely a favourite for all who have played it. Yes it uses the over-used and annoying web phrase Om Nom, but this is the only bad thing you can say about Cut The Rope – a game that is effortlessly playable and deceptively simple. As far as gameplay goes, Cut The Rope is fantastic, with players having to get the candy in the mouth of Om Nom. All this is done by manipulating ropes, pulleys and other systems, brilliantly combining action and puzzle-solving. It's definitely a contender for game of the year, but is it too cutesy for you manly gamers? Bridging the gap between the first Dead Space and its sequel, the smartphone version of Dead Space is a joy to play. This is because Electronic Arts, the maker of the game, is the master of the shock factor and has managed to add gore by the bucket-load. So, it is fair to say then, that this is a game strictly for adults. With gorgeous graphics and brilliant gameplay, Dead Space is up there with the best; but is it too scary for some? Vote for your favourite game here. It may be one of the oldest games in the list but with great colourful graphics and some of the most addictive gameplay you will experience from a mobile game, Flight Control still offers an unmatched sense of thrill and excitement, especially in its later levels. That said, is it too aged to stay a contender? There's no doubt about it: Infinity Blade is the best-looking mobile game ever. But graphics aren't everything, so it's lucky that Infinity Blade has enough hack-and-slash gameplay to keep players coming back time and time again. Part RPG, part beat-'em-up there's no denying the wow factor of Infinity Blade; but does that leave us with a great-looking but ultimately shallow-watered game? It may not be the most technologically advanced racing sim around but it is definitely one of the best to play. This is because Need For Speed: Hot Pursuit is arcade racing all the way, where you can flee from police or race your own corrupt buddies through deserts, forests and along beachside towns. Is a sheer adrenaline rush enough for Need For Speed: Hot Pursuit to get your seal of approval? While the advent of the Tegra 2 chip in smartphones hasn't exactly brought hundred of next-gen gaming titles, it's quality not quantity that counts and Samurai II: Vengeance THD has this in spades. With superb graphics and feature-rich gameplay, this game will make your jaw drop. As it is limited to Tegra 2 phones, though, it will need your help in nabbing the Best Game award. The SIMS made an effortless transition to mobile with The SIMS 3, a game that's just as enjoyable to play as its PC brethren. What's most impressive about the game is how much is packed into the mobile version – the neighbourhood is open world and the SIMS personalities seem to be as complex as ever. It is a game you need to spend time with, though, so it may miss out on the commuter vote. It may not be the most well-known game to feature our feathered friends, but Tiny Wings is everything that is great about mobile gaming. It combines rhythm with physics and is both beautiful to look at and addictive. And it was created by a developer with no previous App Store experience, which adds to the game's appeal. Does it have the might to defeat the bigger names on the list, though? Words With Friends has been nothing short of a revelations since it was released. It's social gaming in its truest form, with games played between friends and strangers sometimes lasting weeks but being no less fun because of it. Couple this with the ability to play iPhone users while using Android and vice versa and what you have is a great game that everyone can play. It's only downfall is originality – its similarity to another word-based tile game is uncanny.